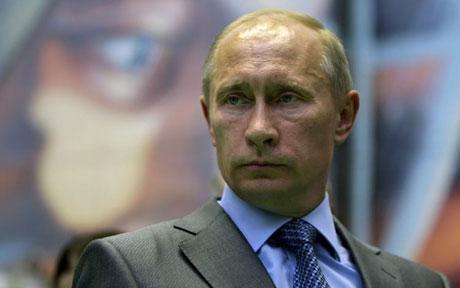 Vladimir Putin (2007), Deutsche Welle, http://www.dw-world.de/dw/article/0,2144,2574113,00.html, (accessed December 5, 2008). Andrei P. Tsygankov, Russia’s Foreign Policy: Change and Continuity in National Identity, (Lanham, Maryland: Rowman & Littlefield Publishers Inc., 2006), 4. Vladimir Putin (2007), G8 Summit Press Conference, Heiligendamm, Germany. Andrew Felkay, Yeltsin’s Russia and the West, (Westport, CT: Praeger Publishers, 2002), 178. Vladimir Putin, Munich Conference on Security Policy, http://www.securityconference.de/konferenzen/rede.php?sprache=en&id=179, (accessed October 25, 2008). Vladimir Putin (2000), State of the Nation Address, http://www.intelros.ru/2007/01/17/poslanie_prezidenta_rossii_vladimira_putina_federalnomu_sobraniju_rf_2000_god.html, (accessed November 25, 2008). Boris Yeltsin (1995), State of the Nation Address, (accessed November 25, 2008). Boris Yeltsin (1997), State of the Nation Address, (accessed November 25, 2008). Dale R. Herspring (ed. ), Putin’s Russia: Past Imperfect, Future Uncertain, (Lanham, Maryland: Rowman & Littlefield Publishers, Inc., 2003), 227. Vladimir Putin, BBC News website, “Putin urges Kosovo crackdown,” http://news.bbc.co.uk/1/hi/world/europe/1392938.stm, (accessed December 5, 2008). Andrew Felkay. Yeltsin’s Russia and the West, (Westport, CT: Praeger, 2002), 88-120. Vladimir Putin (2007), State of the Nation Address, http://www.intelros.ru/2007/04/27/poslanie_prezidenta_rossii_vladimira_putina_federalnomu_sobraniju_rossijjskojj_federacii_2007_g.html, (accessed November 25, 2008). Vladimir Putin (2002), State of the Nation Address, http://www.intelros.ru/2007/02/05/poslanie_prezidenta_rossii_vladimira_putina_federalnomu_sobraniju_rf_2002_god.html, (accessed November 25, 2008). Andrei P. Tsygankov. Russia’s Foreign Policy: Change and Continuity in National Identity, (Lanham, Maryland: Rowman & Littlefield Publishers Inc., 2006), 145. Peter Wallensteen. Understanding Conflict Resolution: War Peace and the Global System, (London: SAGE Publications Ltd., 2007), 217. Boris Yeltsin (1994), State of the Nation Address, http://www.intelros.ru/2007/02/04/poslanija_prezidenta_rossii_borisa_elcina_federalnomu_sobraniju_rf_1994_god.html, (accessed November 25, 2008). Peter Wallensteen. Understanding Conflict Resolution: War Peace and the Global System, (London: SAGE Publications Ltd., 2007), 164. Vladimir Putin (2003), State of the Nation Address, http://www.intelros.ru/2007/02/05/poslanie_prezidenta_rossii_vladimira_putina_federalnomu_sobraniju_rf_2003_god.html, (accessed November 25, 2008). Vladimir Putin (2002), Interview to Wall Street Journal, http://www.ln.mid.ru/bl.nsf/5d5fc0348b8b2d26c3256def0051fa20/ab5431e15c70d0df43256b5f00268928?OpenDocument, (accessed December 5, 2008).